VIEWS, RID’s digital publication, is dedicated to the interpreting profession. As a part of RID’s strategic goals, we focus on providing interpreters with the educational tools they need to excel at their profession. VIEWS is about inspiring, or even instigating, thoughtful discussions among practitioners. 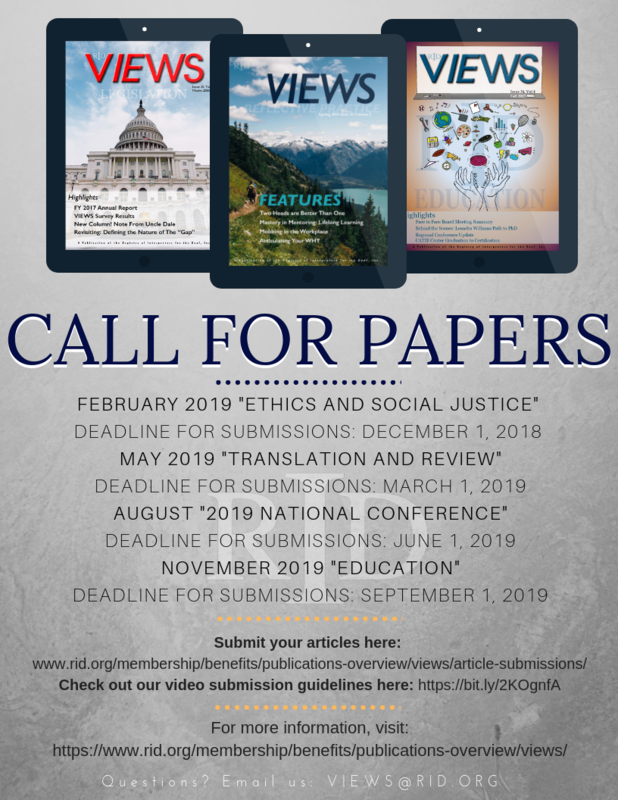 With the establishment of the VIEWS Board of Editors, the featured content in this publication is peer-reviewed and standardized according to our bilingual review process. VIEWS is on the leading edge of bilingual publications for English and ASL. In this way, VIEWS helps to bridge the gap between interpreters and clients and facilitate equality of language. This publication represents a rich history of knowledge-sharing in an extremely diverse profession. As an organization, we value the experiences and expertise of interpreters from every cultural, linguistic, and educational background. VIEWS seeks to provide information to researchers and stakeholders about these specialty fields and groups in the interpreting profession. We aim to explore the interpreter’s role within this demanding social and political environment by promoting content with complex layers of experience and meaning. Don’t delay in receiving this invaluable quarterly publication! Start your subscription today and join RID! 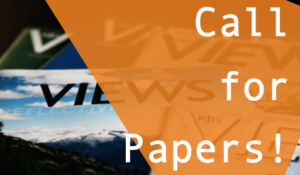 Click here to order your print copy of VIEWS! 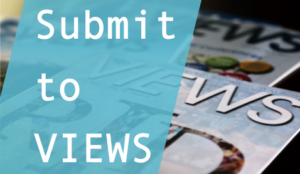 Learn more about submitting to VIEWS. Find information about advertising in VIEWS.